Add the cabbage, turmeric powder, salt, 1/4 cup of water. Cover with a lid and cook over medium flame till the cabbage is tender. 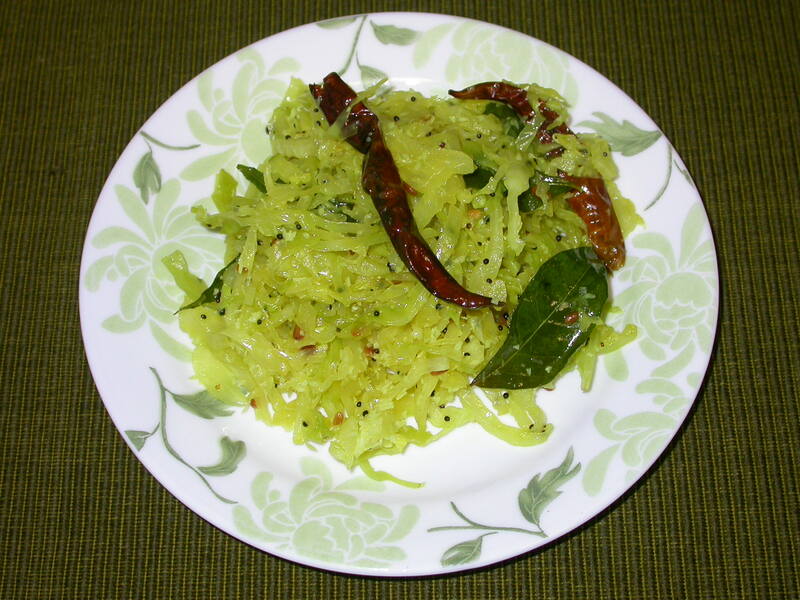 Add the grated coconut and mix well. Cook until it is done.